There were just a couple of handfuls of starting quality safeties to change teams in the off-season, which is more than have occurred in most off-seasons. Among the safeties who did change teams were several big names though. Johnathan Cyprien, Barry Church and Antoine Bethea have been quality starters on IDP teams for several years and last season Tony Jefferson kind of come out of nowhere and was the top safety over the first half of the season with the Arizona Cardinals. Despite their success they were either cut or received more money to play elsewhere in the 2017 season. Johnathan Cyprien is leaving Jacksonville for Tennessee and could see a slight uptick in fantasy points this season. He is not good in pass coverage, but he is great against the run. I’d rank Jacksonville’s linebackers ahead of the current group in Tennessee so I’d expect Cyprien to increase his tackle numbers this season as a big part of the Titans run defense. For similar reasons I expect Barry Church to experience a decrease in his fantasy production. In Dallas, he played behind a front seven even Dallas fans can’t name other than Sean Lee. In Jacksonville the front four hasn’t had much success, but on paper they look much better with the addition of Calais Campbell to play next to Malik Jackson this year. Myles Jack is in his second season now at linebacker playing with Telvin Smith and most likely Paul Posluszny to start this season. In other words running backs shouldn’t routinely make it to Barry Church this season, and his opportunities will decrease. It seems Antoine Bethea has been in the league forever after his years with the 49ers and Colts, but he’ll be entering his 12th season at age 32. The 49ers cut him this off-season which was one of his best fantasy seasons with 95 tackles, 15 assisted tackles, 1 INT and a forced fumble. However he found a new home with Arizona after signing a three year contract in March. Arizona then drafted Budda Baker, in the 2nd round of the NFL Draft, who will also play safety. I don’t expect Bethea to match last year’s production, but he should still be a serviceable safety 2 or safety 3 in IDP leagues. The player Bethea is helping to replace, Tony Jefferson, signed with Baltimore after a career year last season in Arizona. He finished the season with 96 tackles, 2 sacks and 5 passes defended. The second half of the season did not match the first half from Jefferson though–largely due to the emergence of D.J. Swearinger which reduced the number of tackles he may have ended up with. This season in Baltimore, playing along side Eric Weddle, I expect a similar effect. Jefferson will be a good NFL safety, but I don’t think he’ll finish in the Top 10 in Fantasy points at safety. Now for the lesser known names who also changed teams this off-season and could help your IDP teams this fall. There aren’t a lot to choose from, but I’d target them in the following order. J.J. Wilcox (Tampa Bay Buccaneers) – Wilcox was drafted in 2013 by the Dallas Cowboys, but never became the full time starter at safety. Perhaps he would have filled the Barry Church role this season if he had stayed in Dallas, but instead he’ll fill that role in Tampa. Wilcox will start, and I think he has a good chance to outproduce the numbers Bradley McDougald put up last season. I’d rank Wilcox just outside the Top 10 safeties this coming season. He is a good all around player, he is good against the run, but also gets the occasional interception and defended pass. D.J. Swearinger (Washington Redskins) – Swearinger finally had his breakout last year in his second season with Arizona. Until now Swearinger is most remembered for his hit on the Dolphins’ Dustin Keller in the 2013 preseason that tore three ligaments, dislocated Keller’s kneecap and ended his playing career in the NFL. Swearinger was a rookie at the time with the Texans and never really recovered from that play while with Houston. However in the 2016 season he finally showed his ability, and was one of the better safeties in the league. He had 66 tackles, 2 sacks, 3 INT’s and 8 passes defended all with limited playing time to start the season. This season he will be part of a new safety tandem for Washington, playing Free Safety with Su’a Cravens now at the Strong Safety position. He should fill the role the aging Donte Whitner played last season. Whitner also came in at 66 tackles, but had none of the other stats to go along with it. Swearinger could surprise this season as a starter from the first game on. Quintin Demps (Chicago Bears) – Demps is also coming off of a breakout season with the Houston Texans, but he’s doing it at age 32. In fact he’s coming off of two good seasons with the Texans, but his 6 INT’s and 9 passes defended move him up to the breakout status. He took advantage of the good play by signing a three year contract with the Bears this off-season. In Chicago, Demps will start with Adrian Amos at the other safety spot. Six interceptions will be hard to reproduce, but Demps will have value in deeper leagues and as a bye week fill in this coming season. If Chicago’s front seven are better than expected, Demps should be even more valuable in leagues that are less tackle heavy. Next week I’ll be taking a look at Martellus Bennett, Jared Cook and a couple of the other Tight Ends who have changed teams this off-season and how their 2017 Fantasy Football seasons may pan out. All on the list are worthy of being drafted including one sleeper. 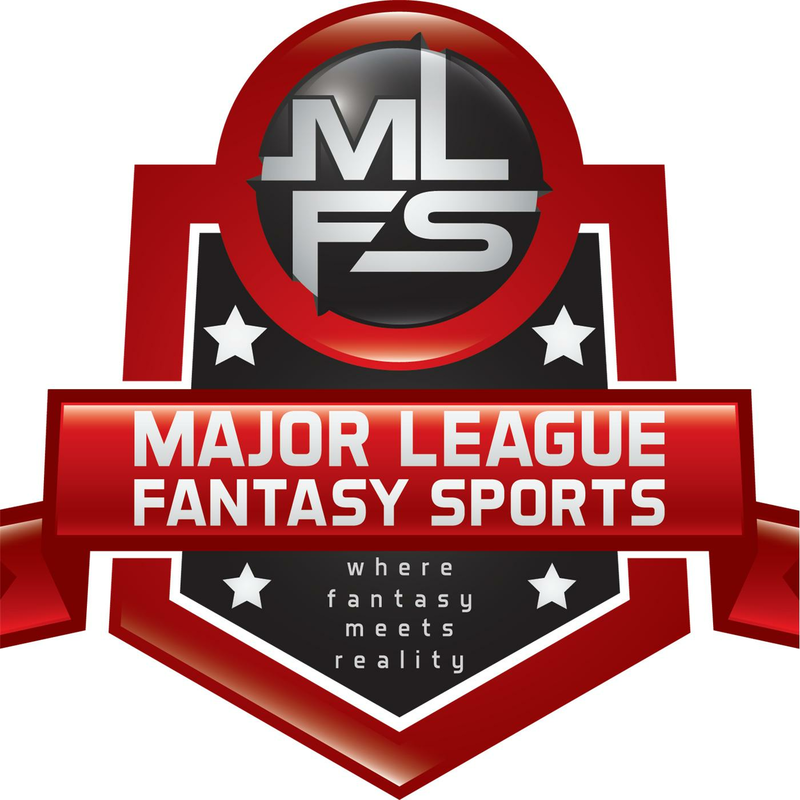 Major League Fantasy Baseball Radio Show: Join guest host Andrea LaMont, and Kyle Amore live on Sunday July 9th, 2017 from 7-9pm EST for episode #93 of Major League Fantasy Baseball Radio. We are a live broadcast that will take callers at 323-870-4395. Press 1 to speak with the host. We will discuss the latest information in the world of fantasy baseball. Our guest this week is Kyle Kilnker. Kyle is a staple member of majorleaguefantasysports.com, and also a MLFB Champion.